PVES enjoys a special partnership with Loyola Marymount University. 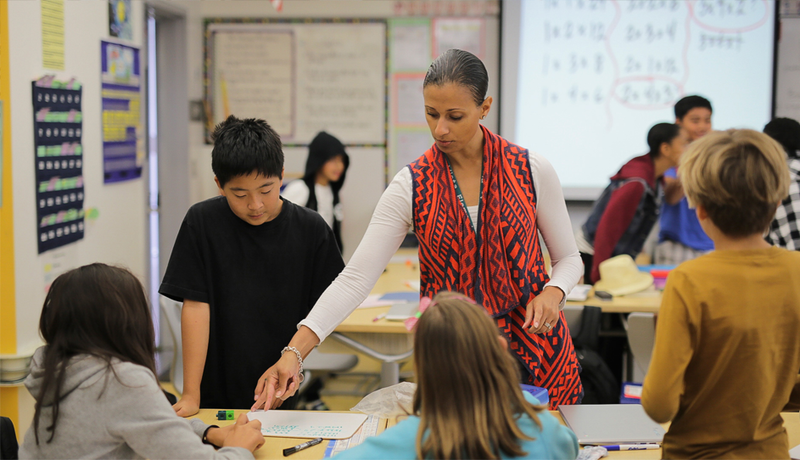 We are LMU’s demonstration school for STEM education and are an important part of their teacher preservice program. Through this partnership we strive to make PVES a hub of innovation, research, and professional development inspiring a transformation in public education. LMU teaching credential candidates attend two of their required courses onsite at Playa Vista Elementary School where the focus is on STEM Literacy. These courses are taught in partnership with LMU Staff and Playa Vista Elementary School teachers. This extraordinary vision is supported by LMU’s School of Education as well as the Center for Math and Science Teaching. A wonderful example of this strong partnership is our Curriculum Developer, Kelly Keeler. Kelly works weekly with teachers creating our kindergarten through fifth grade STEM curriculum. This curriculum is based on the Next Generation Standards and delivered in a student centered Project Based Learning format. The Curriculum Developer is co-funded by the Friends of Playa Vista School and LMU.